The Legal Officer is a law generalist who provides legal services and compliance support, including legal analysis, preparing related correspondence as necessary to the organisation and its employees. The Legal Officer will work in collaboration with AFRINIC’s external Legal Adviser, and will engage in liaison withoutside counsel and competent legal entities and governmental authorities as appropriate. The Legal Officer keeps AFRINIC informed on current legal, regulatory, risk, and compliance issues that may affect it. He/She will develop policies and procedures regarding legislations, risk mitigation, compliance, contract and legal matters as needed and will follow-up on timely implementation of these practices at AFRINIC. The Legal Officer may also be engaged in collaborating with the Human Resources & Administration Manager, helping to analyse and collect evidence to participate in staff hearings. He/she advises the organisation (The Management and The Board of Directors) on various matters so that there is minimum legal exposure and liability. Minimum 2 years of experience as a legal practitioner and fully conversant with all aspects of Mauritian Law. Ability to travel to various locations to attend AFRINIC meetings and possibly industry related conferences. Performs a Corporate Inventory of the types of documents that AFRINIC currently collects. Draft, review, comment on, and periodically update legal documents, including contracts, agreements, terms of reference, perms and conditions of service, policies and procedures, and corporate governance documents. Draws up formalities regarding the settlement of disputes and monitor the implementation of the legal clauses. Analyses AFRINIC’s policies to acquire a thorough understanding and knowledge of the operations of AFRINIC and its various interactions with the community, its members and other relevant stakeholders. Uses this knowledge to provide guidance to the Board, Management and the outside community whenever required. Work with fellow staff to review and provide feedback on proposed AFRINIC policies and implement new AFRINIC policies. Reviews all Corporate Policies, processes and practices to make sure that AFRINIC is working in accordance to various applicable legislation and regulations. Advises Management and the Board on every legal matter such as legal risks, compliance with regulations and corporate governance. Conducts legal analysis and research on various legal matters that currently affects or new legislations which may affect the organisation in the future when becoming in force. Provides advice on different legal issues and takes a leading role in drafting legal opinions, memoranda and other briefing documents. Works in collaboration with the Human Resources & Administration Manager in matters of employee incidents, labor disputes or other employee relations conflicts. Applies knowledge of employment laws to resolve conflicts and ensure compliance. Advises the organisation so that there is minimum legal exposure and liability. 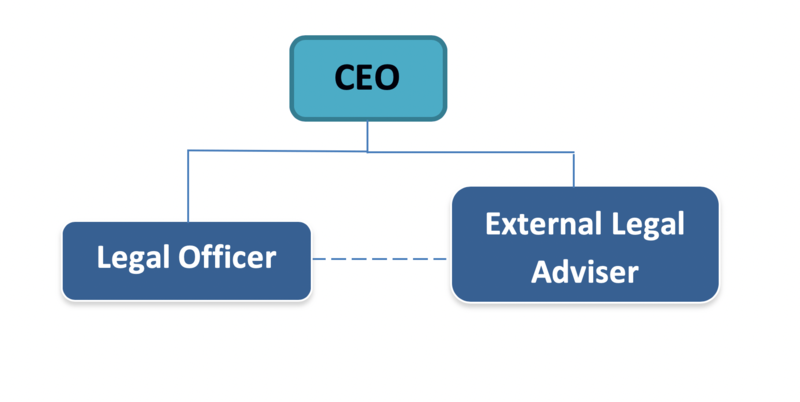 Advises Management and the Board of Directors whenever required on matters of disputes with third parties. Draft agendas and prepare supporting documents for meetings as required. Ensure that all processes are clearly documented as per ISO 9001 standards and other standards as agreed. Lead special projects related to the above responsibilities as assigned. Perform other duties as required and assigned by the CEO. AFRINIC’s Behavioural Competencies as applicable to all staff and as revised from time to time. In carrying out essential duties, an individual should demonstrate commitment to AFRINIC’s mission and values, working as one team towards delivering excellence in service. Interviews will be held at AFRINIC office in Ebène or telephone interviews will be conducted for candidates outside Mauritius. AFRINIC reserves the right to call only the best qualified candidates for an interview and not to make any appointment following this advertisement.